Walk-ins provide a safe and independent bathing experience. 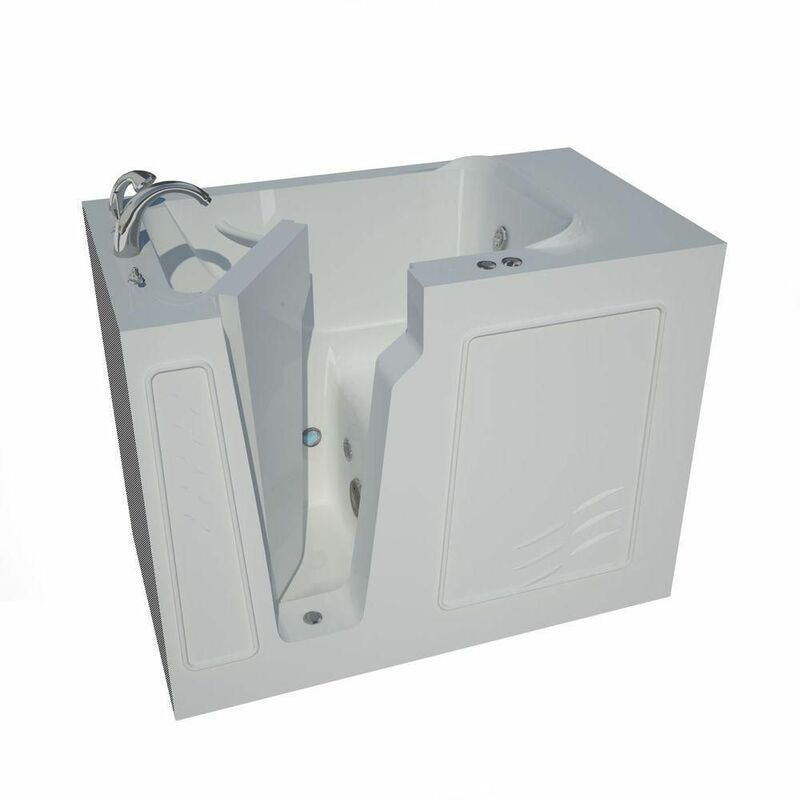 Using the latest in tub crafting techniques and industrial grade materials these tubs offer an impressive line to meet your specific needs. With ADA compliant designs and features, walk-in tubs offer the satisfaction and peace of mind needed to truly enjoy a luxurious soak or a vibrant, soothing experience. 4 ft. 4-inch Left Drain Walk-In Whirlpool Bathtub in White Walk-In's provide a safe and independent bathing experience. Using the latest in tub crafting techniques and industrial grade materials Walk-In Tubs offer an impressive line to meet your specific needs. Walk-In Tubs offer the satisfaction and peace of mind needed to truly enjoy a luxurious soak or a vibrant, soothing experience.